Whether you are new to wearing contact lenses or a seasoned pro, you may still have issues with your contacts along the way. 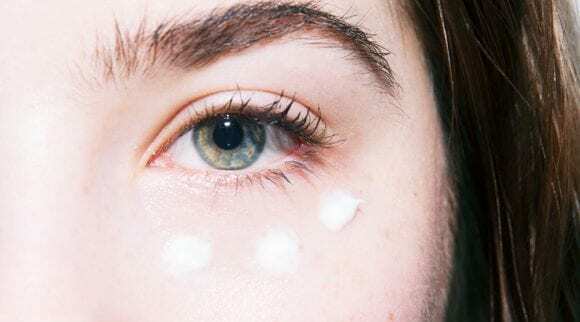 Purchasing the best contact lens solution can help you take proper care of your contact lenses and take away any redness or irritation that may be caused by using the wrong solution. There are a few types of solution regimens for soft or hard contacts. If you are unsure of what contact solution to use, contact your eye doctor. Your eye doctor will be able to provide you with specific products that will work with your contact lenses. In addition, they can offer insight on products you have found that you want to try. The two most commonly used contact solutions are multipurpose and hydrogen peroxide-based systems. Each has their pros and cons. It is important that no matter what solution you choose, you follow the directions carefully and only use the product as intended. While ingredients will be similar across brands, you may find that one brand works better for you than another. This could be due to your eye composition or the type of contact lenses you wear. Always choose a cleaning solution regimen that properly disinfects your contacts and feels comfortable to your eyes. Contact lens solution should not cause any redness or irritation to your eyes. Plus, it should keep your contacts moist when placing the lens in your eye, as well as throughout the day. If eye irritation occurs from your contact solution, preservatives in the solution to extend shelf life are often the culprit. Also, make sure that the product you are using is not expired. You may notice the reaction right away after first using the product or your symptoms may not arise until years after using the product. Whenever you notice symptoms, discontinue using the product right away. Your eye doctor will be able to provide you with preservative-free options. Related: Why Do My Eyes Burn? There are a few different types of contact lens solutions. Some work well with soft contact lenses, while others are created for hard contacts. For most people, the best contact solution to use is a multi-purpose solution. Although, there are people that have allergies to the ingredients and require alternatives. If you are new to wearing contact lenses, start with a multipurpose solution (for soft contacts), and continue to use the product daily unless eye irritation occurs. 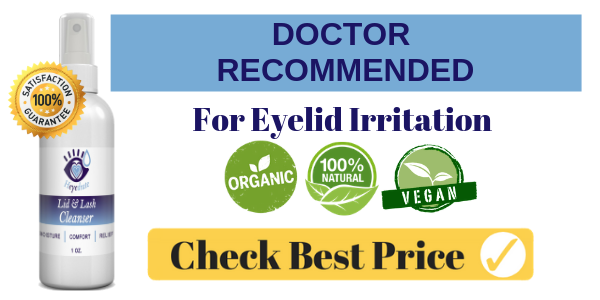 If eye irritation persists, it is best to contact your eye doctor right away so they can help you find a product that will work best for your specific eyes. Multipurpose solution is the most commonly used cleaner for those who wear soft contact lenses. It is very effective at cleaning, rinsing, disinfecting and storing your contact lenses. Multipurpose solution is often more affordable than hydrogen peroxide cleaners and cuts down on the number of products you need to properly care for your contact lenses. One bottle is easy to store and to travel with. Multipurpose solutions are also great for long-term storage. As long as your contacts and the multipurpose solution are not expired, you can rest assured that your contacts are still clean. Multipurpose solution does not lose its disinfecting properties over time like other solutions. To use a multipurpose solution, fill your contact lens case with new solution every time your lenses are stored. Before placing your lenses in the case, squirt some of the multipurpose solution in your hand and rinse the contact lens. This will help reduce the dirt and debris inside the case. Never use water inside the case or add new solution to old solution. Water can damage your lenses. 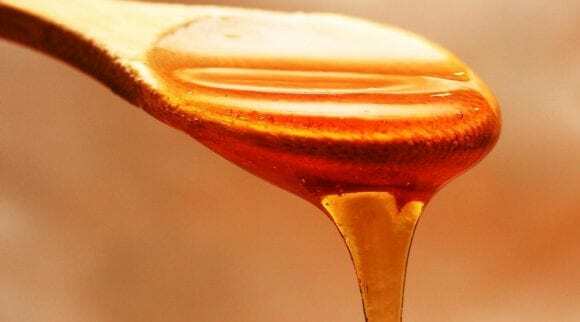 In addition, topping off your solution can degrade the disinfection properties and is basically like bathing in dirty bath water (which you would never do). 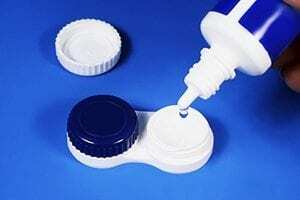 Do your best to keep your contact lens case clean to prevent bacteria from forming. 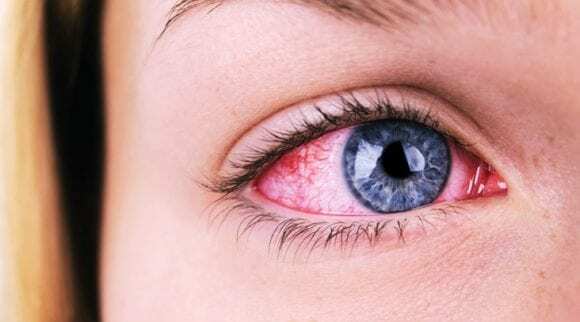 If you are allergic to any of the ingredients in multi-purpose solution or have general eye irritation from a multi-purpose solution, your eye doctor may recommend using a hydrogen peroxide cleaning system. Hydrogen peroxide systems are also effective at cleaning, disinfecting and storing your contact lenses. 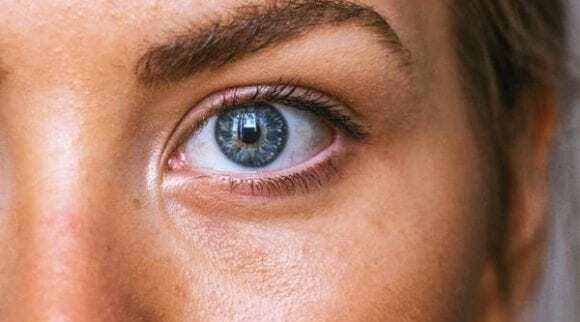 They will however cause burning and redness to the eyes if you directly insert your contact lenses after using hydrogen peroxide and not letting it soak for the required time. You do NOT want to do this! These solutions come with a bottle that features a red tip. This red tip is a reminder to never put the hydrogen peroxide solution directly in your eye. It is important to follow all the directions carefully so you do not cause damage to your eyes. Hydrogen peroxide systems come with a special case that converts the hydrogen peroxide to a saline solution over the course of at least 6 hours. 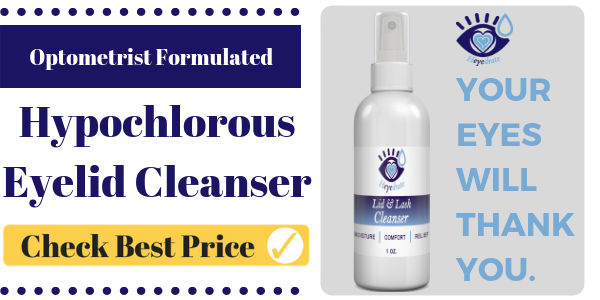 You can also use this in combination with your multipurpose solution (if you are not allergic) or a general saline solution if you prefer to further rinse your contacts before placing them in your eyes. 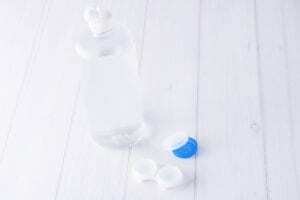 Saline solution is used only for rinsing after contacts have been cleaned. Saline solution alone DOES NOT disinfect contact lenses and should not be relied on a daily basis for proper contact lens care. It is most commonly used with a disinfectant product. Ask your eye doctor if you are unsure if you need to add saline to your daily contact lens care routine. If you have issues with protein deposits collecting on your contact lenses, you may need to add an enzymatic protein removal product to your contact lenses cleaning routine. 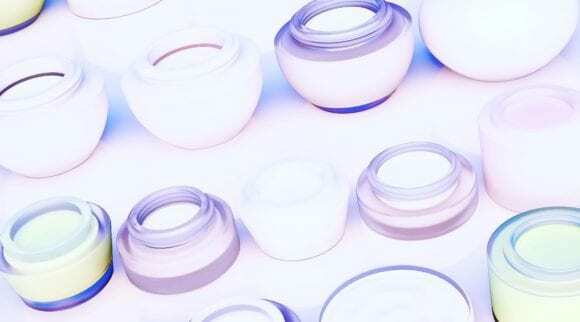 Depending on the schedule of your disposable lenses (daily, weekly, monthly), this will determine how frequently you may need to use the product. 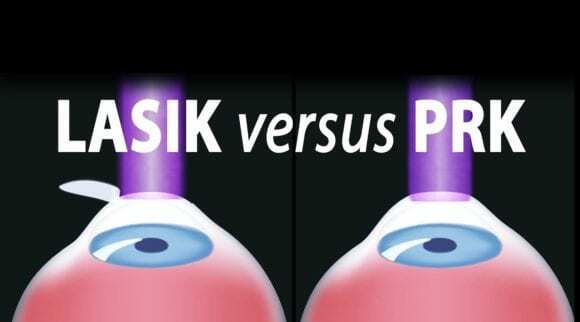 In general, protein removers are usually used for rigid gas permeable lenses. Protein removers come in both tablet and liquid forms. This product should only be used if you have a problem with buildup on your contact lenses. It is important to talk with your doctor before using this type of product. RGP care systems are built for hard contact lenses. These products should not be used on soft contact lenses as the composition is completely different. Hard contact lenses often require separate products for rinsing, cleaning and disinfecting. Your eye doctor should be able to provide you with all the products you need to clean your hard contact lenses. Caring for your eyes is very important. Improper care can lead to eye irritation, infection and even vision loss. Since contact lens wearers go one step further and place a foreign object in their eyes on a daily basis, proper eye care is even more important. While the majority of contact lens wearers sport soft contact lenses, hard contact lenses last much longer than their soft counterparts when properly taken care of. Your eye doctor will be able to determine if you qualify for hard contact lenses and how often you need to change them. Before putting in or taking out your contact lenses, always wash your hands. Your hands should be free of dirt and debris. This will ensure that you are not transferring any bacteria or foreign objects from your fingers to your eyes. You should also be extra careful if you have a cold or have recently worked with toxic materials. Dry your hands thoroughly after they are sanitized so water does not mix with your contact lens solution. Over time this can affect how well your contact lenses are disinfected and the longevity of the lens itself. Never sleep in your contact lenses, even contacts that are made for this purpose. Sleeping in your contact lenses greatly increases your chances of an eye infection. Even contacts that are made for extended wear can cause you to be more susceptible to eye infections if you sleep in them. Most contact lenses will become extremely dry when worn while sleeping. This can make them very hard to remove in the morning. If you do accidentally fall asleep with your contacts in, apply saline solution drops to your eyes before trying to remove your contacts. 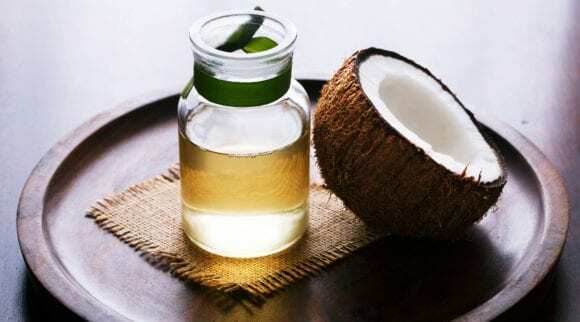 This will help re-moisten your contact and prevent your eyes from feeling dry after removing your contacts. You should not have anxiety about losing a contact in your eye. 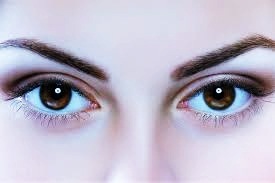 Due to the eye’s composition, and a membrane that connects the eye to the back of the eyelid, it is scientifically impossible to lose a contact lens in your eye. The basic essentials for wearing contacts are your cleaning supplies and a sanitized contact lens case. Make sure you always have contact solution available as it is recommended never to let your contact lenses sit in water. Contact lenses that are exposed to water or stored in water are susceptible to any bacteria that is found in the water, which can then get into your eyes. Depending on the water you are using and where you are located, your chances of getting this nasty infection may increase or decrease. The infection is hard to treat and can cause blindness. It is recommended not to wear your contact lenses while you are showering, as well as in a hot tub or while swimming. Never mix old and new solution, doing so will decrease its effectiveness and it’s unsanitary. Replace your contact lens case every three months. Even if you are meticulous about putting in new solution and letting the case properly dry, it can still harbor bacteria just by being placed on your bathroom sink. Contact lens cases are affordable, and you will often receive a new one at your annual eye appointment. Also, cases usually come with cleaning solutions. It is important to schedule an annual eye exam so your eye doctor can determine if your eyes are healthy and your vision is stable. Any change in vision or eye shape can affect how comfortable your contacts are. If you are experiencing discomfort with your current contact lenses, your eye doctor will be able to provide you with a new brand of contacts that fits your lifestyle better. There are contacts that work better for people who sit in front of a computer for long hours and contacts that are better for people who work outdoors. Sometimes one brand of contacts may cause a reaction to your eyes such as redness or burning. If this occurs, try switching brands to help relieve the discomfort. Your eye doctor can also help you care for your lenses by providing the proper cleaning solutions. If you are unsure about any of the products or have had a reaction to one, speak with your eye doctor about finding a solution that will provide the proper comfort to your eyes. For the most part, contact lenses are very reliable. They can provide unobstructed 20/20 vision and are very convenient for an active lifestyle. However, sometimes contacts can tear or pop out of your eye if you are consistently rubbing them. If this happens, you will want to carry a backup pair in your current prescription and a travel solution. 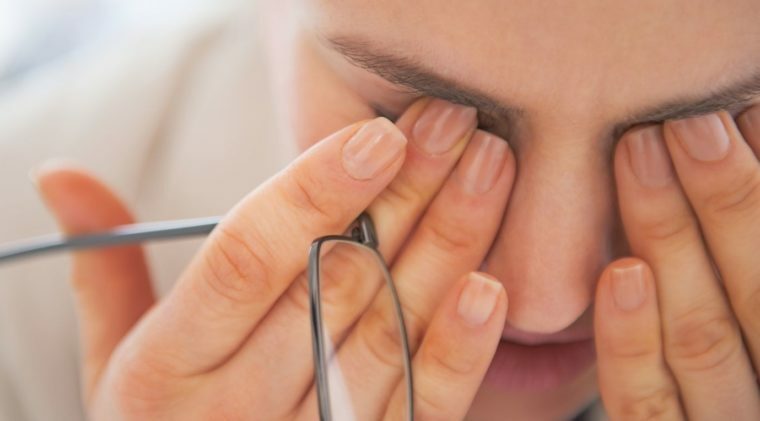 If irritation occurs, you may also want to carry a pair of eye glasses to soothe your eyes and keep your 20/20 vision until you can resolve the issue with your contact lenses. We have gathered the best contact solution brands so you can make an informed decision when purchasing. Please view information on each one to see which one is best for you. If you are still unsure which solution is the best, your eye doctor will be able to help you narrow down your selection. This solution is our number 1 pick because it’s ability to disinfect your lenses is second to none. A hydrogren peroxide based solution that is easy to use, Clear Care has become popular for anyone with allergies, dry eyes, or overall issues with contact lens irritation. 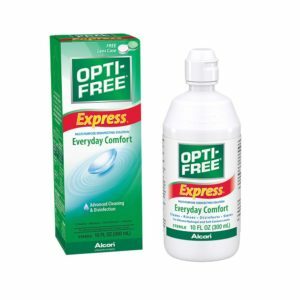 We love this solution because it brings the best of comfort and cleanliness to your contact lens wearing routine. To use, simply place your contact lenses in the small baskets of the contact lens case (this solution always comes with a new, special case which you must use). Then, fill the case with solution to the small line on the side of the case, insert the lens baskets, and screw the top closed. You’ll need to let this solution sit for at least 6 hours in order to disinfect your lenses. After that time, the lenses are safe to put into your eyes. If you attempt to put the lenses in before 6 hours, you will burn your eyes! If you are looking for a great contact solution, look no further. 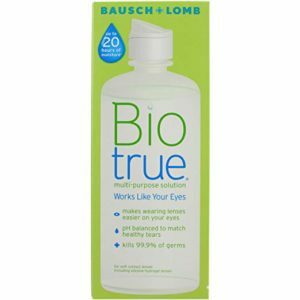 Biotrue multi-purpose contact lens solution has the same pH as healthy tears so you shouldn’t have to worry about any redness or irritation. The solution gives you up to 20 hours of moisture, making it easy to get through your day without tired eyes no matter how long your day is. Plus, it also works as an effective disinfectant, so you only need to use one product. Biotrue multi-purpose contact lens solution is recommended by 9 out of 10 people. If you are looking for a better contact solution, give Biotrue a try. 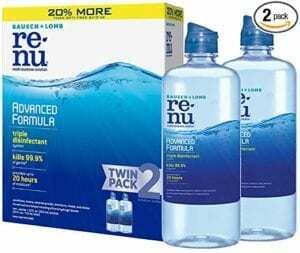 Renu Multi-Purpose Contact Lens Solution is an all-in-one solution that cleans, disinfects, removes protein and extends the life of your contacts. Enjoy clear vision with Renu’s bacteria fighting powerhouse. The solution provides a condition that keeps the surface of your contact lens moist and smooth for the whole day. Opti-Free Express Multi-Purpose Disinfecting Solution thoroughly cleans and disinfects. Plus, it can also eliminate dangerous microorganisms that invade the surface of your contact lenses. This helps reduce the risk of eye infections and provides a cleaner wear. Best for soft contact lenses and silicone hydrogel. 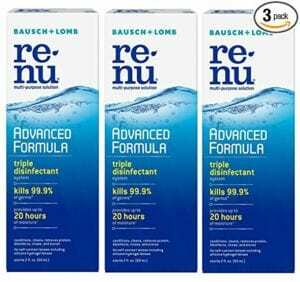 Formulated with a unique triple disinfectant system, Bausch + Lomb ReNu Lens Solution is great for keeping your lenses clean, as well as free from bacteria and protein deposits. Keep in mind, it is not for use with GP (RGP) lenses. Opti-Free Puremoist Multi-Purpose Solution uses a moisture barrier to prevent debris build-up, and it’s a fabulous contact lens solution. This barrier also creates a smooth surface for all-day comfortable wear. Dual disinfectants prevent bacteria, protein deposits and eye infections. Opti-Free is the #1 doctor recommended brand. 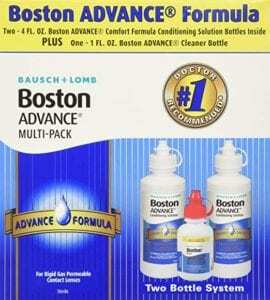 Bausch & Lomb Boston Advance Comfort Formula is specially made for RGP contact lenses. It easily removes dirt and protein deposits for long-hour wear. 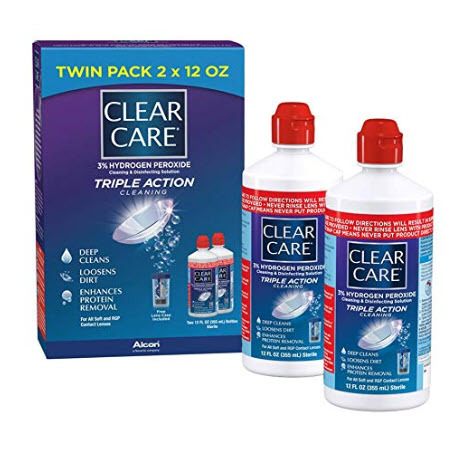 It is the perfect cleaner with dual disinfectants to get your lenses ready for the disinfection step. Bausch & Lomb Boston Advance also makes it easy to insert and remove your lenses by using a patented cushioning system that acts as a surface conditioner. Boston ADVANCE Cleaner removes debris and deposits from your GP lenses, leaving your lenses clean, clear, and ready for Step 2 – disinfection and conditioning. Boston ADVANCE Cleaner is visibly tinted for faster rising. The RED TIP on the cleaner bottle indicates that the cleaner is not to be put in the eye. Boston ADVANCE Conditioning Solution dual disinfecting system delivers excellent protection against harmful microorganisms. Plus, it includes a patented cushioning system to soothe your eyes and provide more comfort while wearing your lenses. Cleaning your contact lenses should be a daily ritual, but rest assured, it shouldn’t add a lot of time to your daily routine. Always wash your hands before starting the cleaning process. This will help reduce the number of bacteria that your contact lenses come in contact with. Place a small puddle of solution in the palm of your hand and place one of your contact lenses in the middle of the puddle. Use a circular motion to rub the lenses in the solution, making sure to get both sides. You may see dirt or debris floating in the puddle of solution. Carefully dump this solution in the sink while keeping your contact lens in the middle of the palm of your hand. Squirt more solution on the lens to remove any dirt or debris that may have settled back on the lens. At this time, you can add a protein remover product if your lenses are exceptionally dirty, or if this process has been recommended by your eye doctor. Once the protein remover has been used, do not forget to rinse your lenses after to prevent any eye irritation. Once you have completed the above steps, either place the contact lens in your eye with a clean finger, or place the lens in a case that has been filled with fresh solution. Wearing contact lenses that are properly fitted for your eyes with a current prescription can be more convenient and comfortable than wearing a pair of prescription eyeglasses. However, unlike eyeglasses that rest on your nose outside the eye area, contact lenses come in direct contact with your eyes from the minute you put them in to the minute you take them out. Proper care of your contact lenses not only extends their life, but can directly affect your overall eye health. It is important to remember never to use water to clean or store your contacts. The composition of the water may harbor invisible bacteria that could cause unnecessary eye infections. Also, it is not recommended to use saliva to clean your lenses. Only approved contact solution disinfectants should be used to clean and store your contacts. Your contact case should be sanitized daily to prevent any dirt, debris or bacteria from getting on the surface of your contacts. It is best to discard any old solution on a daily basis. Once old solution is discarded in the morning, flip over your contact lens case onto a clean tissue so that it can dry completely. Before going to bed, simply fill your contact lens container with new solution and rinse your contacts before placing them in. Close the lid tightly to prevent evaporation and dirt and debris from entering the threads or top of the case. If you have been wearing contact lenses for a while it might be tempting to wear your contact lenses for longer than recommended. You should always replace your contact lenses as instructed by your eye doctor. Wearing contact lenses for an extended period of time can make it easier for the contacts to tear. This can be painful, happen at any time and create an environment for infection to seep in. Choosing the best contact solution is just as important as choosing the best contact lenses. The solution should be comfortable for all day wear and not cause any stinging or redness in the morning. If the contact solution you are currently using causes any irritation, immediately stop using the solution and contact your eye doctor for advice on a good alternative.